Goûters Magiques has 4 production sites and a logistics platform which produce and distribute our pastries in France and around the world. All of our production sites are IFS and BRC certified. 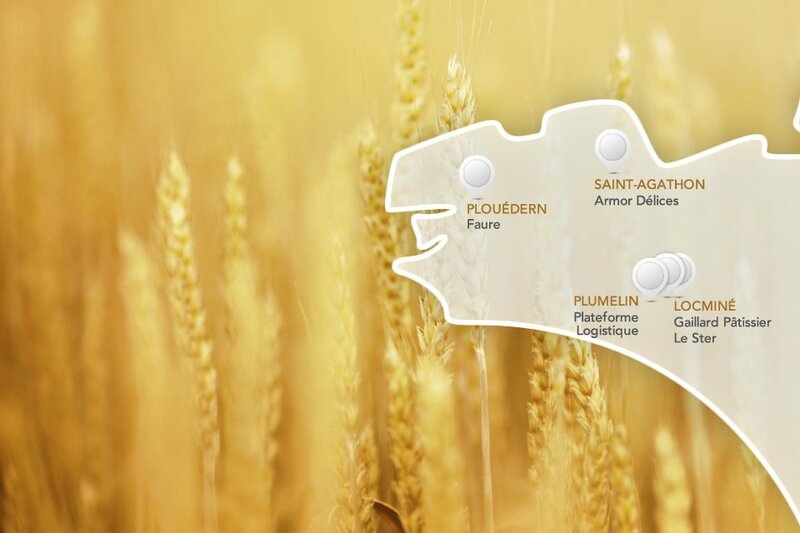 Based in Saint-Agathon in Northern Brittany, the Armor Délices site is dedicated to pure butter traditional pastries. Located in Plouédern in Northern Brittany, the Faure site is specialized in crêpes, plain and filled. Based in Locminé in Southern Brittany, the Gaillard Pâtissier site makes individual cakes. Also in Locminé in Southern Brittany, the Le Ster site bakes individual and loaf cakes. Inaugurated in 2014 in Southern Brittany, the logistics platform organizes the distribution of our pastries.